Ricambio originale Nissan usato. Foto prodotto originale venduto. Presenta leggeri segni di usura. Also Nissan Terrano. Genuine Nissan Elgrand Glow Plug Relay. TR50 3.0 TD. Cod: 687619U000. Bocchetta d'aria anteriore laterale sinistra per Nissan Note 2004-2013. Ricambio originale Nissan usato. Presenta piccoli segni dovuti all'usura. Cod: 687609U000. Bocchetta d'aria anteriore laterale destra per Nissan Note 2004-2013. Ricambio originale Nissan usato. Presenta piccoli segni dovuti all'usura. NISSAN QASHQAI Mk1/JJ10/J10 2007-2015. NISSAN NV200 2010-2018. NEW BLOWER FAN MOTOR HEATER RESISTOR. Categoria prodotto: Interno veicolo/Bocchette aerazione. Anno: 2013. Se indicate, le compatibilità qui riportate sono risultate da catalogo non ufficiale. - COD contrassegno (Solo in italia - Selezionabile solo da PC). Heater Resistor. Nissan Altima 2002-2008. Nissan Maxima 2003-2008. Nissan X-Trail 2001-2015. All of our products are sourced directly from our range of approved factories. All of our parts are subject to quality testing and are ISO TS16949 certified, we also search to make sure that our approved manufacturers use the latest technologies and materials available. NISSAN X TRAIL T30. It is very expensive to own a car in Japan. Japanese vehicles have less miles in comparison to the UK. It only makes sense because one can travel from Osaka to Tokyo for just £100 by bullet train with no hassle of parking and expense on fuel. NEW Blower Motor for Nissan NAVARA D22 1AHCX00169 LHD / RHD. Nissan Qashqai J10. Nissan Rogue. Nissan X-Trail T31. Ventilatore interno, motore del ventilatore. Ventilatore, ventola. Motore della ventola. Ventola Ventola Ventola Ventola Ventola per FORD Focus Mondeo NewEUR 45,99. FOR LEFT/RIGHT HAND TRAFIC. Nissan Primastar X83 1.9 dCi 100. Nissan Primastar X83 1.9 dCi 80. Nissan Primastar X83 dCi 100. Nissan Primastar X83 dCi 115. Nissan Primastar X83 dCi 120. Nissan Primastar X83 2. MICRA MK 3 (K12). MICRA C C CONVERTIBLE (K12). FORD MONDEO MK3 2001-2007 REAR WHEEL BEA. A/C Condenser. Anti Roll Bar link. NEW TOP QUALITY HEATER BLOWER RESISTOR. Lower Ball. Trailing Arm Bushes. Valeo is an automotive supplier and partner to automakers worldwide. Faulty Goods. Unwanted Goods. Highlands and Islands. How long will it take to receive my item?. Vorwiderstand. NISSAN PATHFINDER Y61. Gebläse Gebläsemotor Innenraumgebläse f. VW T5 Multivan Transporter NeuEUR 59,49. Gebläse Gebläsemotor Innenraumgebläse f. VW T5 Multivan Transporter ClimatronicEUR 79,99. 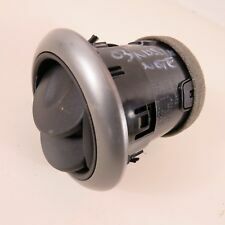 VENTILADOR HABITACULO NISSAN NV200 - OE: 272269U01A / 27226AX105 - NUEVO!! 272269U01A - 27226AX105 - 27226AX205 - 27226BC00A -. VENTILADOR HABITACULO NISSAN NV200 (Año 2009-) - Artículo nuevo. BEHR: 8EW351149681. AVA COOLING: DN8393. Nissan Primastar Box SE 1.9 diesel panel van 2003 - body colour code Z36. Heater blower motor resistor. - This does not include Scottish Highlands and Islands, Ireland, and North Ireland. Nissan R32 Skyline GTR RB26DETT. Nissan Skyline R32 convogliatore superiore. Nissan R32 Skyline GTS-T RB20DET. Nissan R32 Skyline GTS-4 RB20DET. Nissan R32 Skyline GTS RB25DE. Parte di Nissan genuina! NISSAN QASHQAI 2007-2011. NISSAN QASHQAI. Front Steel Lower Suspension Wishbone Arms Left & Right. 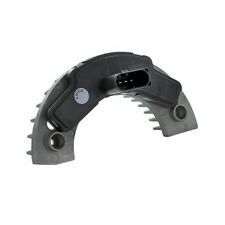 You are purchasing 1 Left & 1 Right hand side steel front lower wishbone arms. All international parcels will be boxed and very well secured. Will fit navara, pathfinder 2005-2010 D40. NISSAN PATHFINDER 2.5DCI manual. blower motor only without housing. We’re always using tamper proof stickers or similar devices to avoid fraudulent activity. NISSAN PATHFINDER Y61. NISSAN PATHFINDER R50. 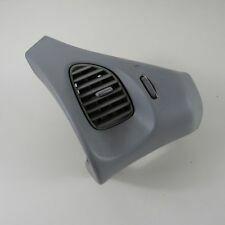 Ventilatore di aria cabina motore ventilatore soffiatore per VW T5 Multivan transporter nuoviEUR 59,49. Ventilatore di aria cabina motore ventilatore soffiante per VW T5 Multivan transporter ClimatronicEUR 79,99. 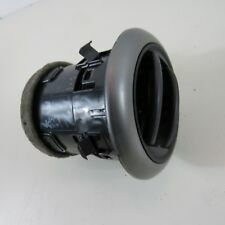 For Sale:-Nissan Micra Heater Blower Motor with part number:- N100043F. Fits:- Nissan Micra models from:- 2003 to 2007 with part number:- N100043F. Wing Mirror. Dedicated Support. You won't find cheaper prices anywhere! Y ou do not need to wait until we receive the item to get your money back. Item-send from lithuania.